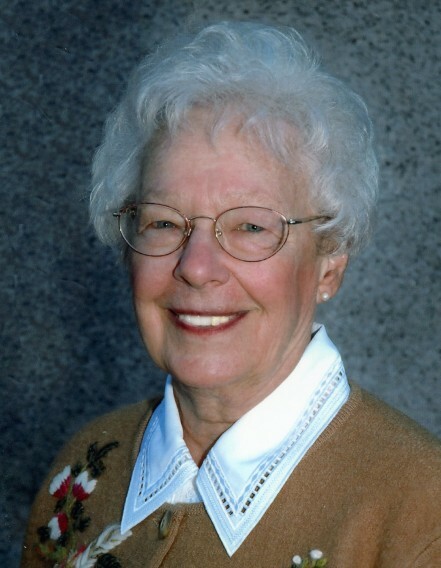 Janet Richards Stewart of East Millcreek, Utah returned to the loving arms of her sweetheart, Donald Dee Stewart, on Friday, February 1, 2019 surrounded by those who love her. From her birth on June 1, 1927, to her death, Janet nourished people around her with love, compassion, casseroles, and her homemade candies. She was born to Alice Coulam and Willard Brigham Richards Jr. and was the youngest of seven children. Janet graduated from South High School and later attended the University of Utah. Janet was working the switchboard for her father at Granite Furniture when Don took notice of her. It took a lot of courage for him to ask out the boss’s daughter. Don proposed on Halloween night and they were married May 9, 1949 in the Salt Lake Temple. The two of them lived a love story life until the day Don died in 2009. We can only imagine the joy they must feel to be reunited once again. Together, Don and Janet had six children - Brent, David, Don, Joel, Jana, and Alison. Janet believed that family was her circle of strength and she worked tirelessly to plan amazing holiday parties, weekly family home evenings (often accompanied with homemade ice cream), and weekend game nights to bring her family together. It was family knowledge that her door was always open for anyone that might unexpectedly stop by. Janet’s home was her favorite place to be and her heart found joy serving other people within its walls. She was well known for her traditional Christmas luncheon where she served the widows of the neighborhood. She was a gracious host to all who came to visit. She had a profound appreciation for the beauty of the mountains and would often escape the hustle of city life to enjoy her cabin in Mt. Aire. In her final days, Janet began to yearn for a home beyond the one where she had raised her children and welcomed her grandchildren. Her heart had outgrown this world and she was ready to return to her Heavenly home. She is survived by her 6 children, 16 grandchildren, 21 great-grandchildren, and 1 great-great grandchild. The family would like to extend gratitude to all who offered love to Janet during her final days, especially Inspiration Home Health & Hospice and her nurse Caitlin.